Mark Milovats began his career as a pop standards crooner and has been expanding his musical variety with each passing year. He has a rich and powerful voice that has been compared to many of music greats. Mark has taken standards like “Mack the Knife” , “Fly me to the Moon”, “The Most Wonderful Time of the Year” and “My Way” and given them a powerful new lift without straying too far from the originals. Mark has been compared by industry insiders to, Sinatra, Bennett, Connick and Andy Williams. He is versatile. 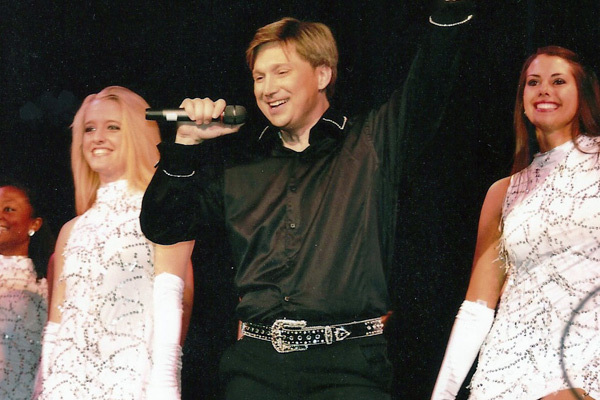 He engages his live show audiences with song, dance, and laughter. Mark is a true showman. He can go from “Oh Holy Night” to “Luck be a Lady” and then to “Zorba the Greek” as one of the featured dancers. His shows are a delight to see.